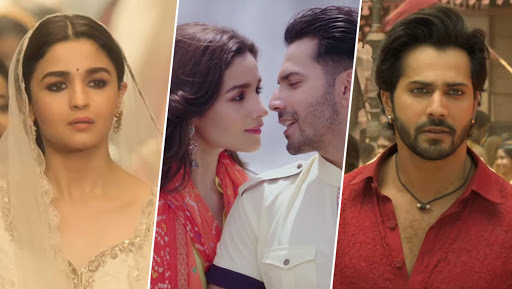 From Student of the Year’s Disco Deewane to Kalank’s Ghar More Pardesiya, Which Song Has Varun Dhawan and Alia Bhatt Sharing Better Chemistry? So, in which of these songs, Varun and Alia Bhatt share better chemistry? Let us know in the comment section below. On the professional front, Alia Bhatt, who is one of the top actresses right now has many projects in her kitty, will next be seen in Gully Boy, where she plays a student. The actress stars alongside Ranveer Singh in this Zoya Akhtar directorial. Alia Bhatt, who also has Ayan Mukerji's upcoming film 'Brahmastra', will be seen pairing up with rumoured boyfriend Ranbir Kapoor on the screen for the first time in Mukerji's ambitious project. Besides Brahmastra and Kalank, Alia also has Sadak 2 in her kitty. Meanwhile, Varun will soon start shooting for Remo D'Souza's dance film, which is touted to be the most expensive dance film that Bollywood has ever seen. The film, which is reportedly being planned in the 4D format, was supposed to be Varun's first collaboration with Katrina Kaif. However, the actress had to opt out owing to date issues. Watch this space for further updates.